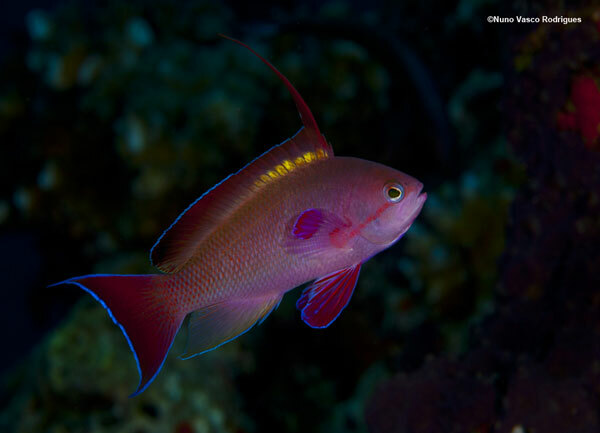 Fiji: Sexual dimorphism -- here, there, everywhere! Today's post comes from Nuno Vasco Rodrigues. 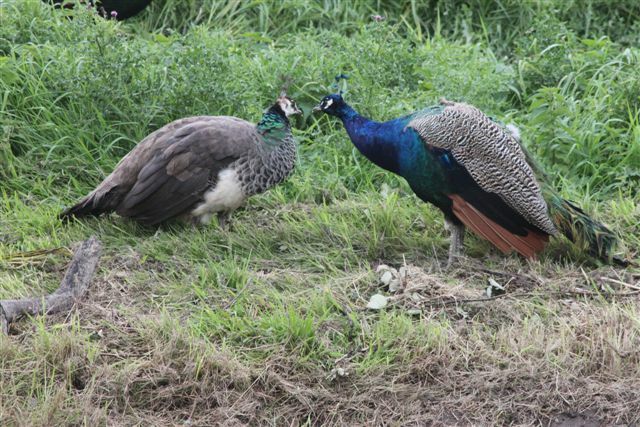 Sexual dimorphism is one of the most curious aspects in the animal world. It is defined by differences between males and females of the same species in size, coloration, body morphology, or behavior. This is often observed in several groups of well known animals such as birds, insects, mammals, but not so widely in the fishes. The reasons underlying this strategy can be numerous, some examples are: differences in size believed to be, for larger females, to increase fecundity rates; larger males may be able to better able to defend territory; and males with bright coloration may attract predators first, thereby leaving the less bright females available to reproduce. Further studies show females tend to show direct preferences for more elaborate males which provide for better visual recognition of the male in harem group spawning activity. Differences in behavior are also present in some species of fishes where only males guard the nest (lumpfish) or provide specialized body structures for protecting the young (male seahorse brooding pouch). teaching tool is the peacock, Pavo cristatus. In this species of bird, the male ornate plumage is used to attract the female which is smaller and has less ornate and duller plumage. Another good example of sexual dimorphism, but in the “waterworld”, is the guppy fish, Poecilia reticulata, with females reaching almost twice maximum size than males. 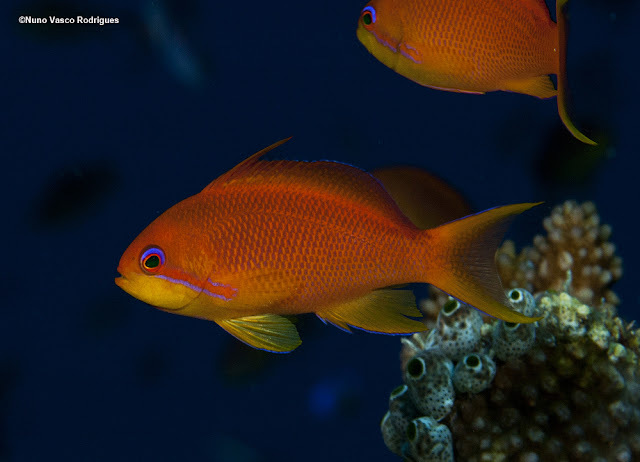 This group of fish is also a good example for differences in coloration, often males are more colorful and possess more ornamented fins males than females. In the ocean, many species of fish present this strategy. One of this species is relatively common in my backyard, Berlengas Natural Reserve, in Peniche, Portugal. 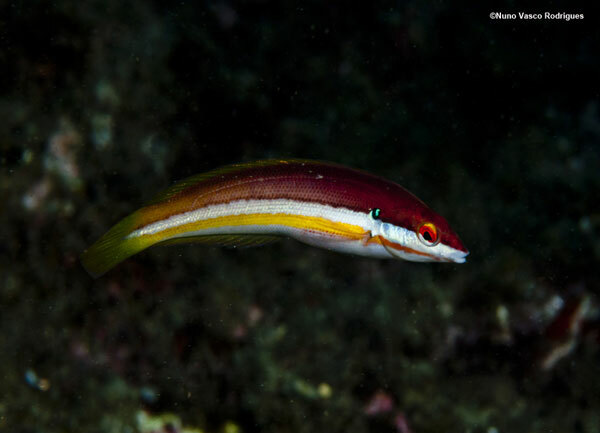 It is the Mediterranean rainbow wrasse, Coris julis. 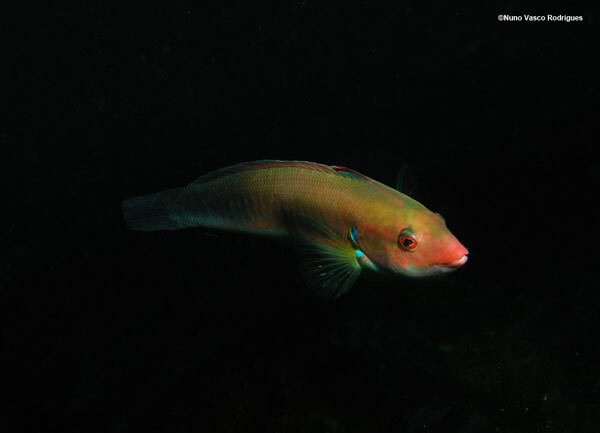 Both the Mediterranean rainbow wrasse as the Lyretail anthias are, as previously referred, quite abundant in the respective locations and that is certainly a sign of the success of the sexual dimorphism strategy. Nuno has been a member of the Aquarium family since he was an intern with the Giant Ocean Tank Aquarists in 2006. He has since maintained strong connections with the institution, and is now the Science Officer and manages Western Portugal Collections for Flying Sharks, Inc., a specimen collection and shipping company for public aquaria based in Horta, Azores, Portugal. You should see the difference between our male and female fur seals at NEAq! This is spectacular. Beautiful piece of art! Thanks for posting such a great post.